Basseterre, St. Kitts, 6th December, 2018 (MyVueNews.com) – An early Christmas gift was delivered on Thursday, 6th December, 2018, to all civil servants and other workers employed by the Federal Government of St. Kitts & Nevis. 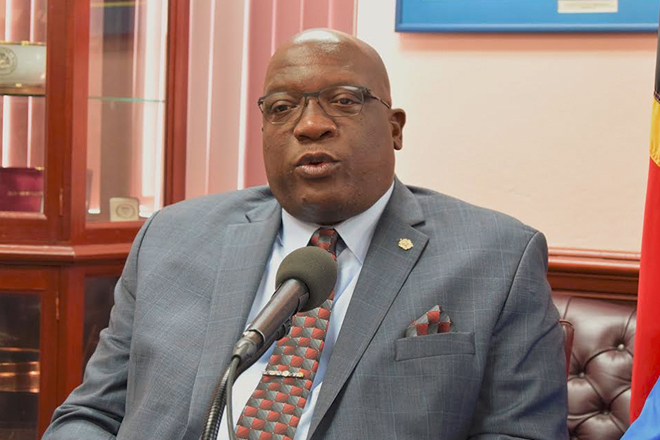 Minister of Finance and Prime Minister, Dr. Timothy Harris used an official address to the nation to announce that his administration had taken a decision to pay its workers a double salary on 14th December. This is a measure that many in the public had speculated on in recent weeks, given that similar payments had been made in the past three years and also because rumours of elections have also been floated by opposition figures. But Harris indicated that the decision was facilitated by the outstanding performance of the economy and the reduction of the National Debt. He said his administration’s economic and fiscal house is in order and “at its all-time best”. The Prime Minister pointed to the reduction of the debt, which at one time during the previous administration was approximately 200% to GDP, but has now fallen to the internationally accepted standards of 60% to GDP. Harris stated that the performance of the economy has been a positive one and the debt to GDP ratio is at its best in 25 years. The Minister of Finance said he was also encouraging the management of government statutory corporations, such as SKELEC, SCASPA and NHC to do likewise and pay their employees an extra salary in December. Government Auxiliary Workers Pensioners, staff at the CFBC and those working for the Nevis Island Administration, will also get the same Christmas present of two salaries this month. While civil servants are being rewarded for their service, they have also been admonished to improve on their work performance and show more professionalism and loyalty to their workplace and assigned job responsibilities. The double salary announcement came as part of a package of other benefits to government workers that Harris said his administration is offering this year.